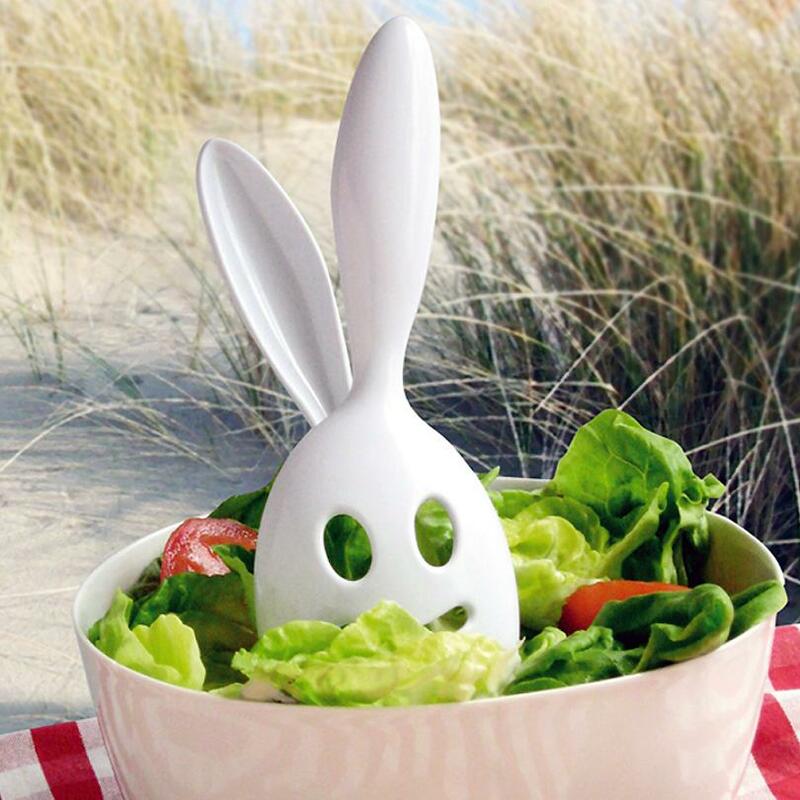 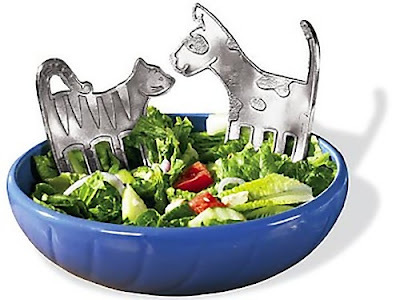 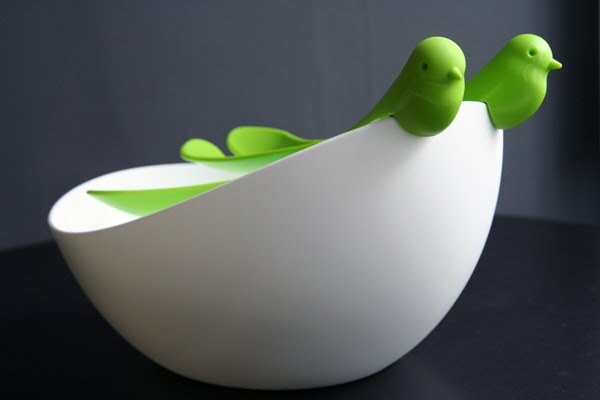 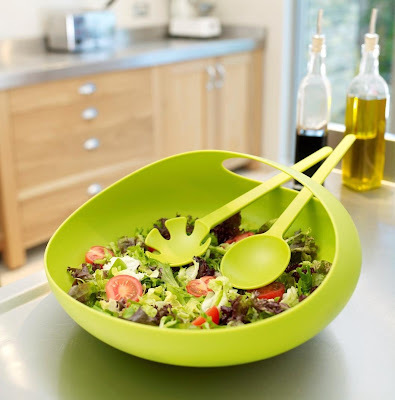 Collection of cool salad bowls and creative salad server designs from all over the world. 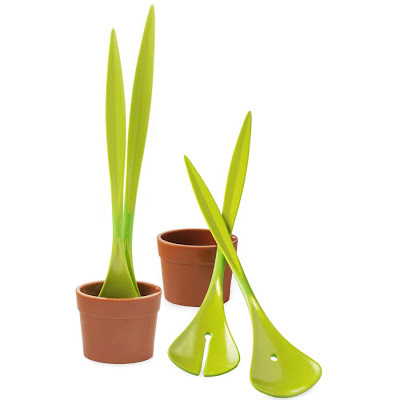 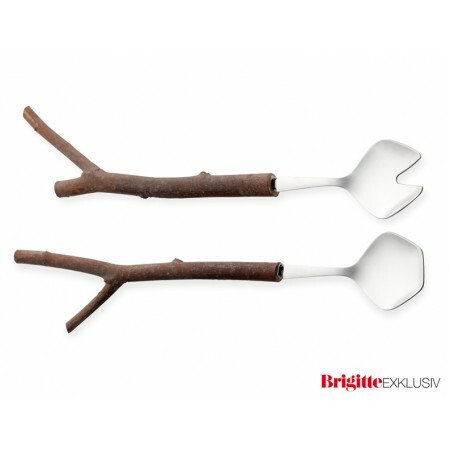 Salad Plant - Salad Servers: These clever green salad servers stand upright and mimics a planted flowerpot. 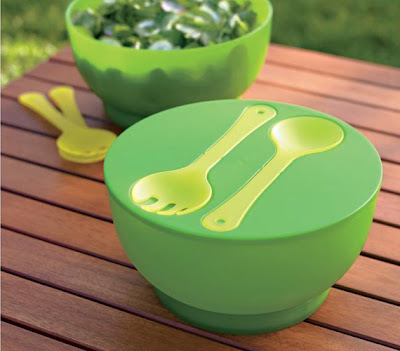 The flowerpot doubles as a server or a mixing dish for salads. 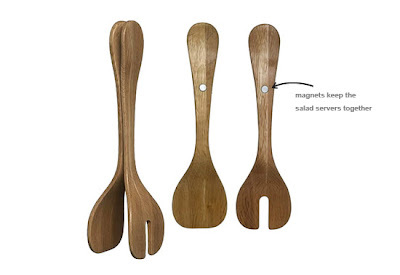 Oak Standing Salad Servers: These oak salad servers by Swedish design company Segaform has magnets in their handles that allows these servers to stick together. 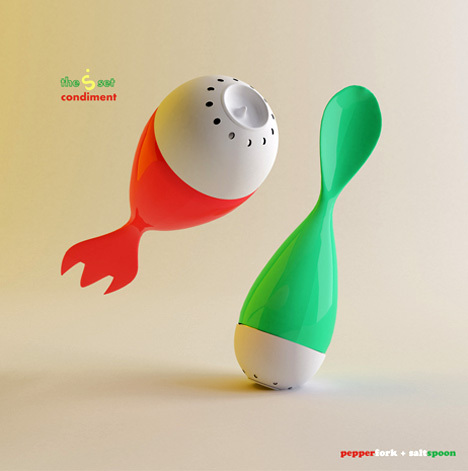 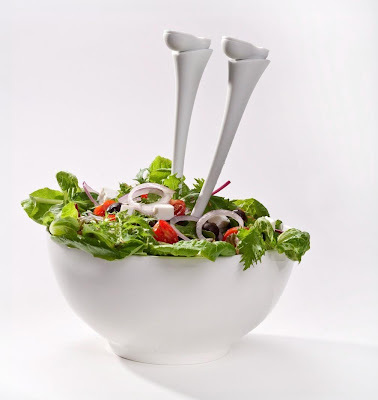 Salad Servers by Ori Saidi & Dani Gassner: Stand them upright or stick them head first into your salad - both options are sure to bring smiles to your dinner table. Salad Bowl and Servers: This large fresh green colored salad bowl comes complete with salad servers. 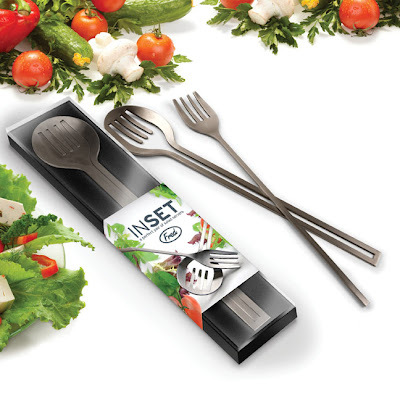 Inset Salad Servers: These sleek and stylish salad servers are two of a kind; they are perfectly together for presentation and storage. Bird Salad Bowl and Servers: The beautiful bird servers sit on the side of the bowl. 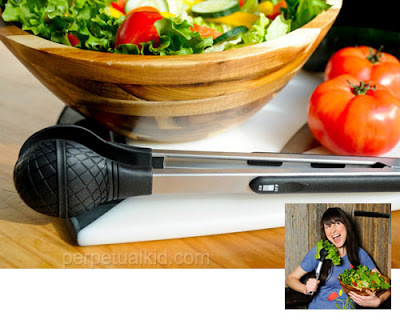 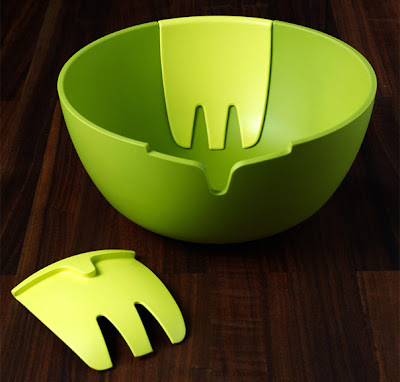 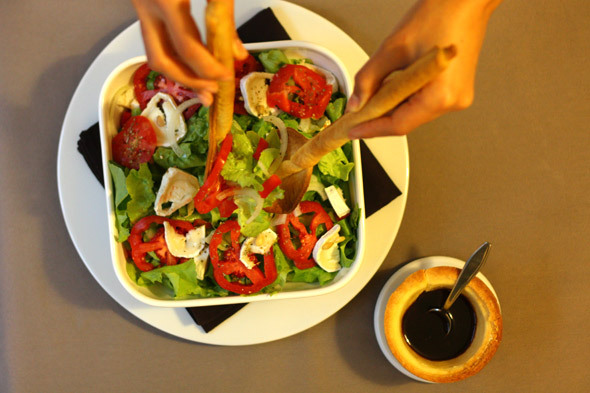 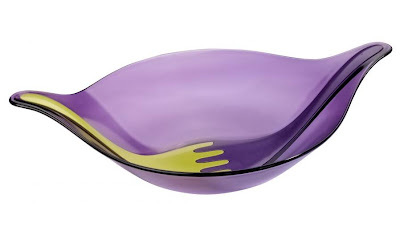 HandsOn Salad Bowl: It features a pair of hand-like salad servers integrated on either side of the bowl. Chill Salad Bowl with Servers: It has an icepack in its base and server utensils built into the top.